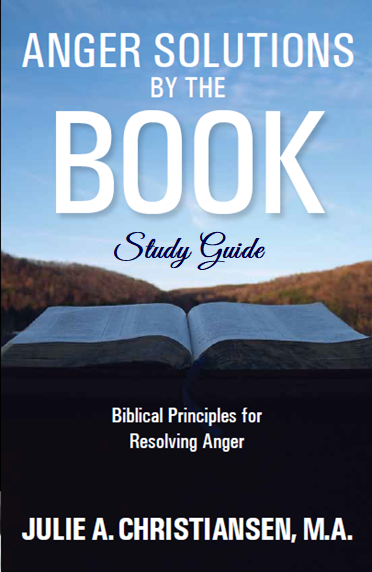 Did you know that Anger is mentioned more than 450 times in the Bible? Despite that the Bible has much to say about anger, it is still one of the most misunderstood and misrepresented emotions in the Christian world today. The answer to solving the anger puzzle can be found in God's Word. He has provided us with clear principles regarding the expression of this powerful emotion, and the Bible is filled with examples of people who both failed and succeeded in their attempts to resolve anger. Get your in-depth study of TEN key principles for resolving anger here. STUDY GUIDE for small groups is now available! Communicate effectively with angry people,and more! Laurie Flasko shares a powerful story of torment, trauma and healing as she chronicles her daughter Amanda's journey through bullying. From Amanda's poingnant first-hand account of her experiences with bullying in elementary school and Laurie's perspective as a concerned mother, learn how bullying took a severe toll, resulting in years of chaos and a diagnosis of Post-Traumatic Stress Disorder. In this book, Laurie and Julie share practical advice and tips for parents on how to "get through and survive". They are joined by some of the leading experts, researchers, and therapists who provide real strategies for coping with bullying, and they share an empowering message of hope for parents, educators, and community agencies. "I realize that there are really two things that must happen in order for the past to stay in the past where it belongs. First the events of the past need to be forgotten. All too often, we dredge up memories from the past and relate them to events in the present. In reality, the past event may have nothing to do with what is happening now. But we take the emotions from those memories, whether they be happiness, sadness, fear, anxiety, or depression; and we attach them to events of the present, thus hindering our ability to function effectively in the hereand now. So, we need to find a way to leave those past events through forgetting and letting go." The last straw is falling. It may not have landed yet. In fact, you may not be feeling that stressed or overwhelmed at all right now. But life is just like that: just as we get used to living with a level of stress that feels manageable, all of a sudden things can heat up without warning. The straw is falling. Somewhere, sometime, perhaps when you least expect it, it will land on you. Are you ready for it? The time has come for you to make some big decisions - decisions about what you will do for yourself to help move out of the stress that consumes you and into the energy that mobilizes you. When the Last Straw Falls is a toolkit that provides you with a simple, no-nonsense approach to dealing with everyday stress, from the small stuff to the monumental. 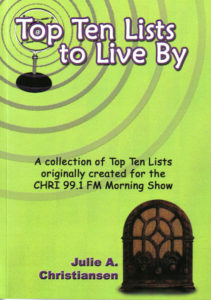 Based on a series of "Top Ten" lists written for CHRI 99.1 FM radio's morning show, this little book of inspirational nuggets will make a great gift or coffee table book. Julie's insights into reasons for keeping a journal or ways challenge decision-making are straightforward and to the point, but are sure to get you thinking, and perhaps even moving towards creating radical change in your life! So many of us grieve the loss of a loved one, yet we do not have time in our day for calm, quiet reflection. To be able to grieve is a divine gift. And you are not alone. Rest. Reflect. Pray. Each moment with God is yours to experience. 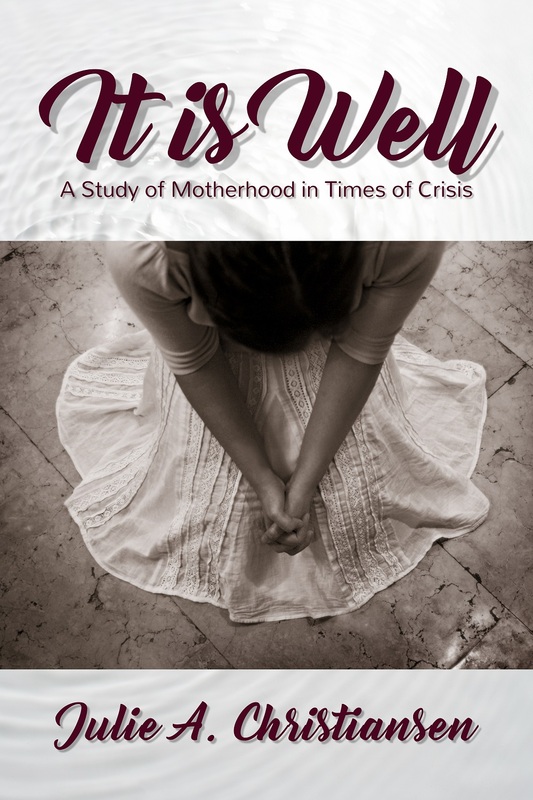 Based on inspired and transparent outpourings of the heart, after the recent loss of her husband, Melodie D. Wilson, Canadian poet, pianist, singer-songwriter and published academic shares this poetic devotional of hopeful reflection for the grieving heart. PRE-ORDER BEFORE MAY 10th AND GET A FREE COPY OF ANGER SOLUTIONS E-BOOK! As mothers, it is our destiny to face tragedy or crisis of some kind. There is no rule book that says mothers must outlive their children, or that a young mother will not lose a spouse in the early years of a marriage. There is no law that declares that motherhood is a bed of roses – in fact, where there are roses, there must be thorns. Along with the sweet comes the salty, the sour or the bitter. While we would love to avoid crises and tragedies, that is not our lot. The rain falls on the just and the unjust. The purpose of this book is to introduce you to several women whose stories, although brief, are more than a simple footnote in the pages of Bible history. 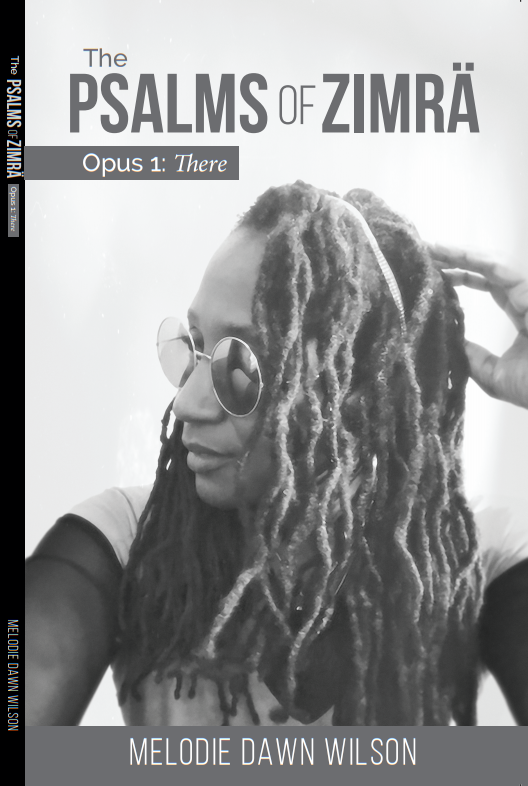 In addition to the stories from matriarchs of old, you will hear three tales from mothers of modern times including myself, sharing our stories of tragedy, crisis, grief, and recovery.